Ten A-10s trained in Estonia with NATO allies August 4-20. The public had also the opportunity to admire their highway landing training. At the beginning of August ten A-10 Thunderbolt IIs from the 175th Wing, Warfield Air National Guard Base, Md., an MC-130J from the 352nd Special Operations Wing, RAF Mildenhall, UK, and approximately 270 Airmen were deployed to Amari Air Base, Estonia to participate in a Forward Training Deployment (FTD) to increase interoperability and relations between Airmen. The deployment marks the third time the Warthogs have been sent to Europe as part of a so-called theater security package. 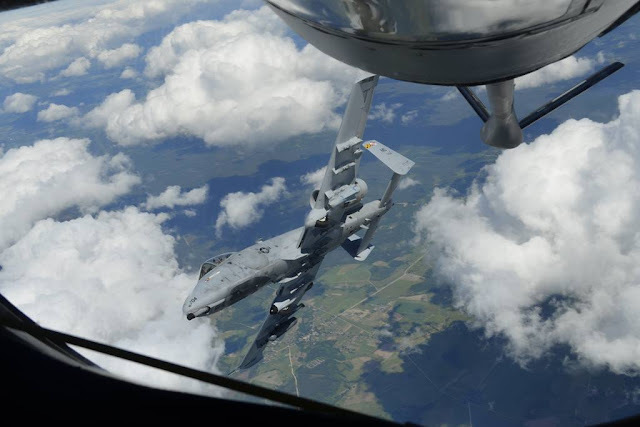 During the deployment the A-10s conducted joint training with the Finnish air force F/A-18 Hornets in Finland, Spanish air force F/A-18 Hornets in Estonia and multinational JTACs in Latvia. 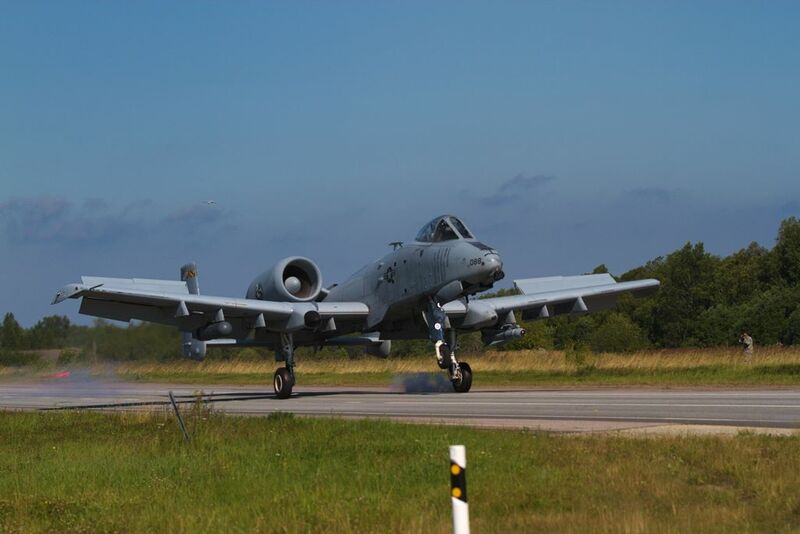 On Aug. 10 the public had the occasion to attend a mission involving the landing of the A-10s on a highway near Jagala, Estonia. The event was an opportunity for US, British, and Estonian soldiers, as well as local law enforcement, to come together under a unified command to successfully land Warthog aircraft in a civilian area.